You may not take Varanasi and Shakespeare’s name in the same breath, but if there is one city that stands true to the maestro’s contemplation of what is in a name, it has to be Varanasi for sure. Banaras, Kashi or Varanasi, call it by any name you may like, yet this city never fails to invoke a feeling of ecstasy in the heart and mind of every traveler visiting it. A city with a soul of its own, Varanasi is a unique world within your known world. It definitely deserves a visit at least once in your lifetime; if not for anything else, for the spiritual wealth that is reflected through its incredible temples. With around 23000 temples (yes, you read it right!) dotting the city’s landscape, Varanasi is often referred to as the City of Temples, and rightly so. If you fancy exploring a city that takes pride in being older than traditions and legends, and yet has a timeless feel to it, Varanasi will delight you no end. Make sure that you discover the essence of the Spiritual Capital of India through its famous temples that have been weaving the link between the ancient and the modern times in a seamless manner. Here, we give to you a list of seven must-visit temples in Varanasi, where you can soak in the spiritual vibe of the city in its glorified form. 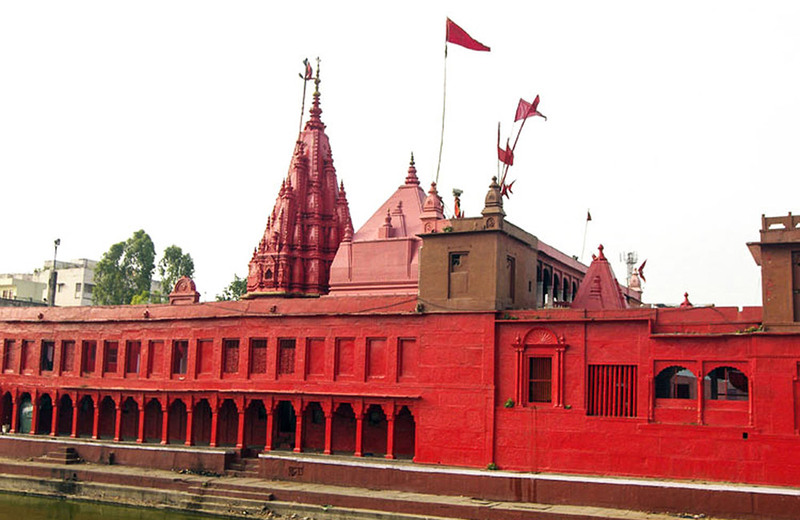 If Varanasi is the Spiritual Capital of the country, then Kashi Vishwanath Temple is its crowning glory. Situated on the western banks of the River Ganga, it is one of the twelve holiest jyotirlingas or sacred centers of Shiva worship spread across India. This ancient Varanasi Shiva temple finds mention in the Puranas. The main deity of the shrine is a linga that is placed upon a silver altar. What is truly fascinating about this temple is that it has been subjected to destruction and re-construction a number of times over the course of history. But the temple has never bowed to the dictates of time and even today, it stands as one of the most popular temples in Varanasi that is thronged by devotees and tourists in thousands, every day. Another interesting fact about this temple is that it features a gold dome and a gold spire on top. 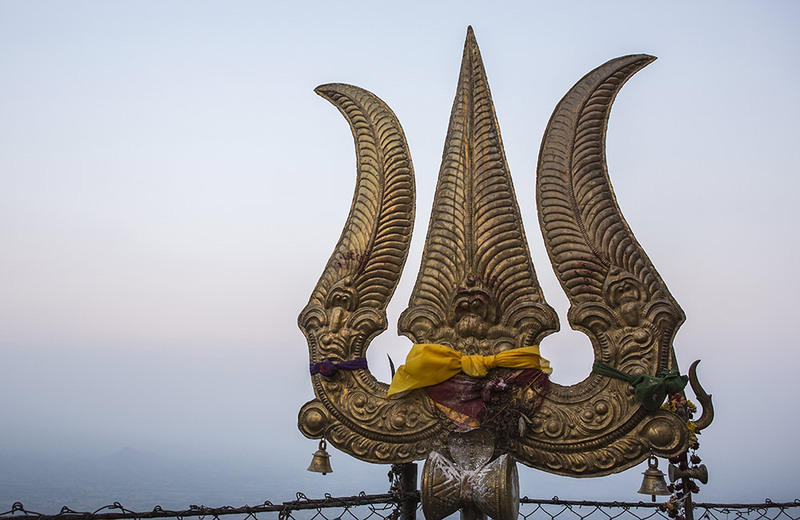 It is believed that if you make a wish after seeing the dome, Lord Shiva fulfills your wish. Legend has it that when the Mughal ruler Aurangzeb planned to destroy the temple, the idol of the temple deity was hidden in a well inside the temple complex. The well is still there. Be sure to take a look at this historical well when you visit the temple. Kaal Bhairav refers to the aggressive form of Lord Shiva and in Kaal Bhairav Temple, Shiva is enshrined and worshipped in this fierce form. If you dig a little deep into Varanasi temple history, you will know that this temple dates back to the mid-17th century, which makes it one of the oldest Shiva temples in the city. 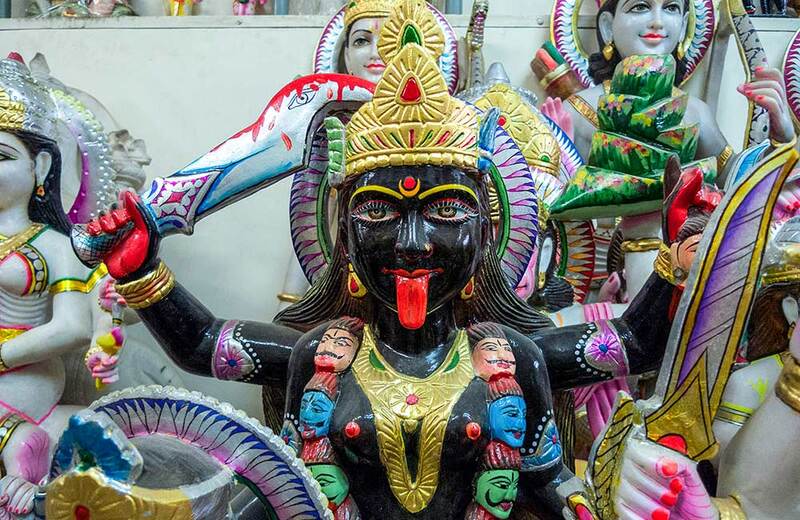 Kaal Bhairav is regarded as the guardian angel of the city and the people of Varanasi are known to seek permission from the deity before they leave the city for any reason. According to the folklore tradition, anyone who visits Varanasi has to visit the temple first and get permission from Kaal Bhairav to stay safely in the city. 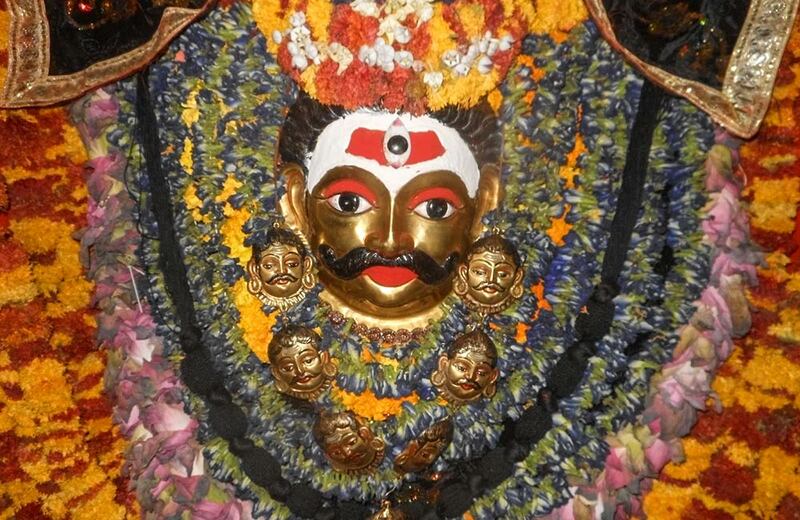 Whether you believe in this folklore or not, do not miss visiting this ancient temple where you can see the deity depicted as a man with a garland of human skulls around the neck. Built in honor of Goddess Durga, the Durga Kund Temple stands next to a rectangular pond (kund) and hence the name. Also known as Durga Temple or the Monkey Temple, this shrine is a fine example of the Nagara style of architecture that is popular in North India. The red stone temple features a multi-tiered spire. The temple was constructed in the 18th century by a Bengali queen and since then, it has assumed a prominent place in the hearts and minds of devotees from across the country. Like most Varanasi temples and ghats, the Durga Kund temple also has an interesting story related to it. As per the legends, the existing icon of the goddess isn’t a man-made structure. It appeared on its own in the temple complex. If you are intrigued enough, do make it a point to visit this temple during your Varanasi trip. Your trip to Varanasi can’t be deemed complete without paying a visit to the famous Annapurna Temple. Annapurna Devi is believed to be an incarnation of Goddess Parvati. 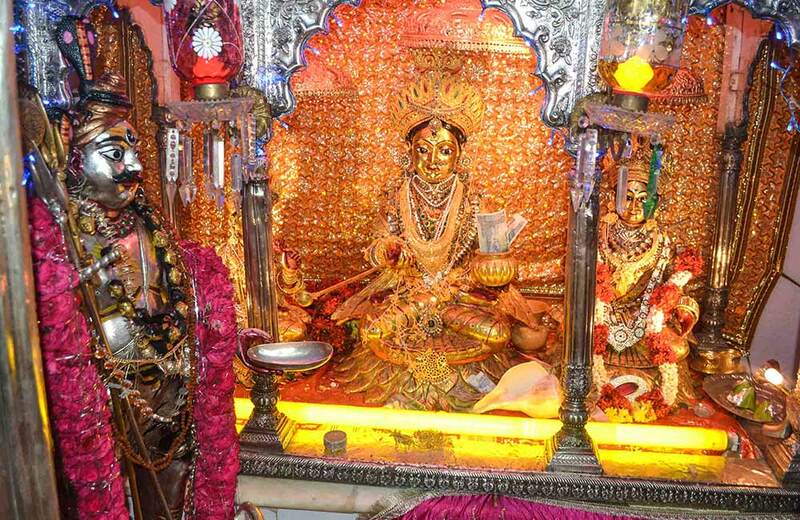 In this temple, she is worshipped as the benevolent provider of food and nourishment. It was Maratha Peshwa Baji Rao who, in 1729 AD, constructed this picturesque temple that depicts the Nagara style of architecture. It is a common practice by devotees to donate grains and food at this temple and pray for life-long prosperity. The temple features two idols of the goddess. One of these idols is made of gold while the other one is made of brass. You can see the brass idol on any day of the year, but to see the gold idol you will have to plan your visit on the day before Diwali, which is popularly known as Annakut day. On this day, devotees and visitors are allowed to have a look at the gold idol each year. 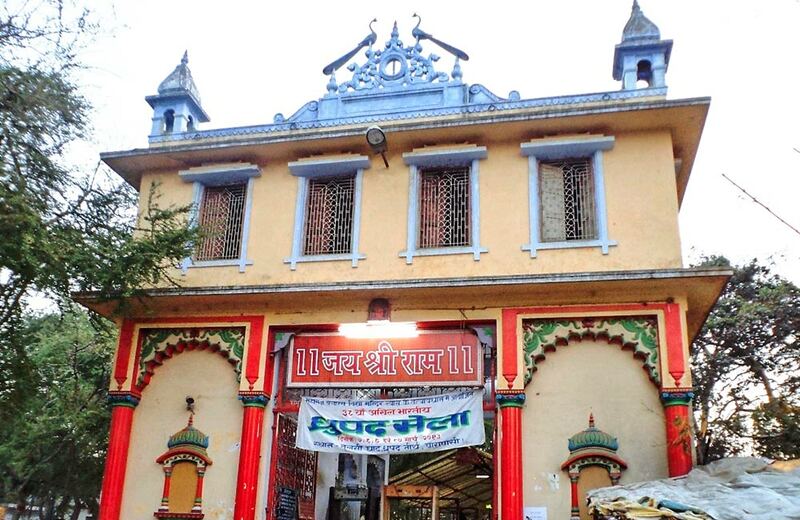 Sankat Mochan Hanuman Temple, one of the most visited temples in Varanasi, was constructed in the early 16th century by the renowned poet, Goswami Tulsidas. Standing on the banks of the River Assi, this temple holds a special place among those with a faithful bent of mind. It is believed that anyone who visits the temple and prays with dedication will be relieved of his/her worries by Lord Hanuman, the great reliever of worries. It is a common sight to see a huge crowd thronging the temple every Tuesday and Saturday. When you visit this temple, be ready to come across scores of monkeys who stay in the temple complex and gladly feed on the offerings given by the visitors. That’s indeed a delightful sight, especially in a temple dedicated to Hanuman, the god with the face of a monkey. The Nepali Temple in Varanasi is famous for more than one reason. Also known as the Kanthwala Temple, this splendid temple is a replica of the renowned Pashupatinath Temple in Kathmandu. Dedicated to Lord Shiva, this 19th-century temple was constructed by the exiled King of Nepal, Rana Bahadur Shah. 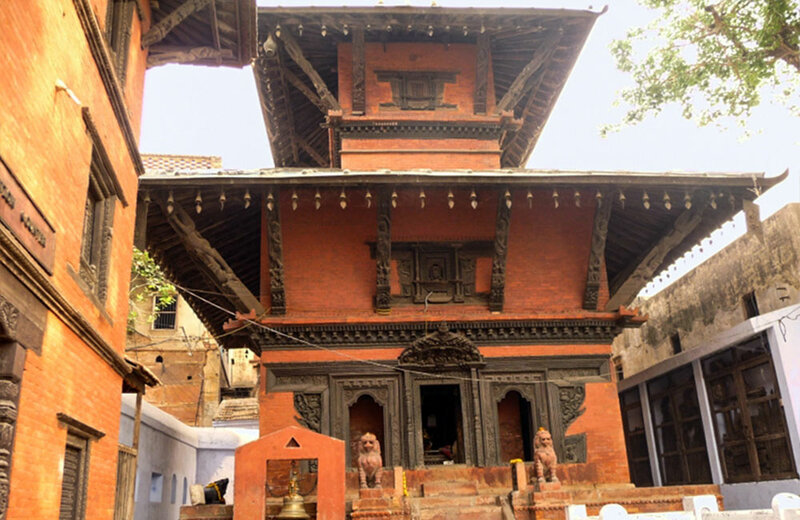 The temple is built of wood, stone, and terracotta in the Nepali style of architecture. The pagodas of the temple are carved out of wood and are a sight to behold. A unique feature of the temple is that it has sculptures that are similar to the ones found in Khajuraho Group of Monuments. That is why this temple has also earned the moniker of Mini Khajuraho. Vishalakshi Temple is counted among the most sacred temples in Varanasi; this is a Shakti Pith or a significant shrine dedicated to the Divine Mother. The goddess is worshipped as the one with large eyes in this temple and so, she is known as Vishalakshi (the word vishal means large and akshi means eyes). According to the legends, the earrings of goddess Sati is believed to have fallen on the very spot where the temple stands today. The temple is situated near the sacred cremation ground of Manikarnika and is definitely worth a visit. It is tough to find a lane or a corner in Varanasi where you won’t come across a temple. But the beauty of the city is not limited to the temples alone. From the ghats of the ever-flowing Ganga to the crowded markets, every nook and corner of Varanasi is a sheer delight to experience. Add to that the culinary delicacies of the city and you can permanently lose your heart to this unique city. What’s more, you can easily find hotels in Varanasi that cater to pockets of all sizes. So, go ahead, plan your trip, and hit the road to Varanasi without a second thought.